Every noble knight needs some shining armour. 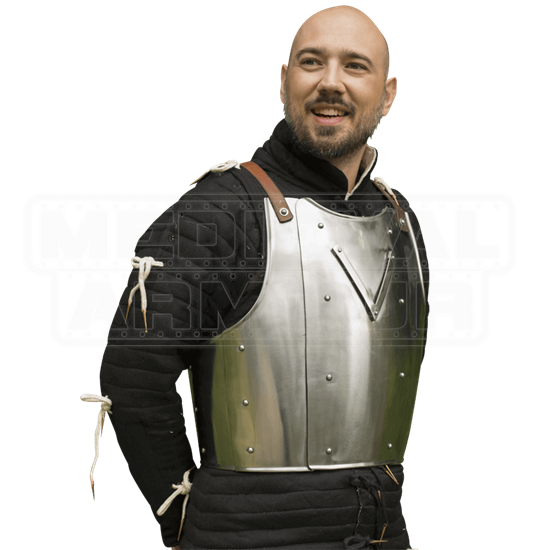 The Churburg Breastplate, made of 19 gauge mild steel, is a fantastic option for getting a great armoured look for your next medieval live action roleplay or historic reenactment event. The polished steel surface gives it an eye-catching look, and a V-shaped strip of metal, called a stop-rib, adorns the chest. Its adjustable ductile steel flanks and adjustable leather straps help the wearer achieve a close body fit. Due to this items handcrafted nature, there may be slight variations to its appearance that do not detract from its authentic look. 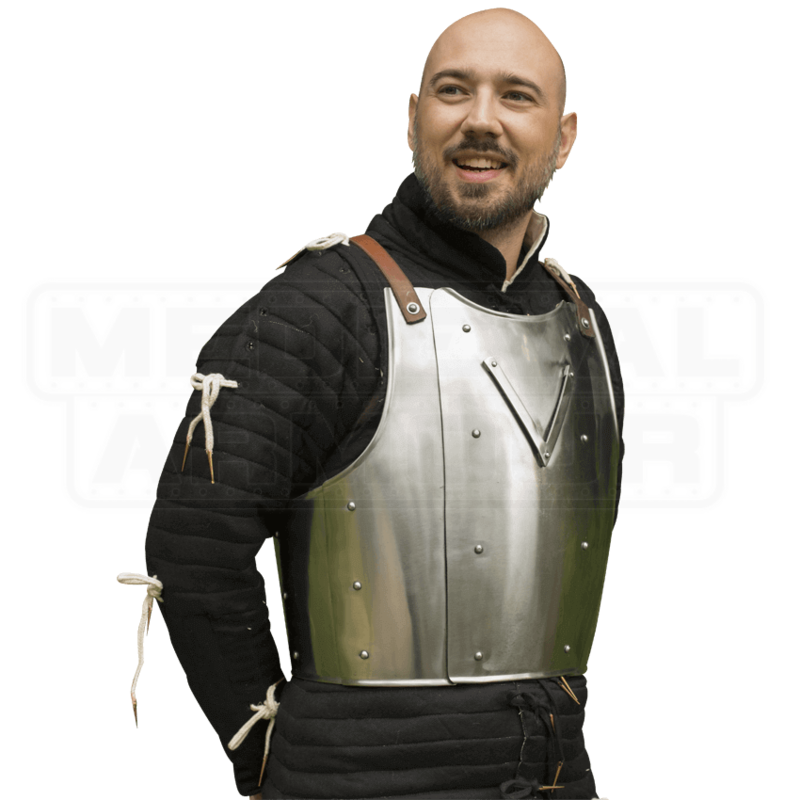 The edges of this armour are rolled, and it should be worn over arming wear such as a gambeson for a comfortable and safe fit.